WEEKEND racing comes to Ayr Racecourse for the first time this year with the Fab Friday Raceday on Friday 6 March, followed by Saturday Jumps Raceday on 7 March. 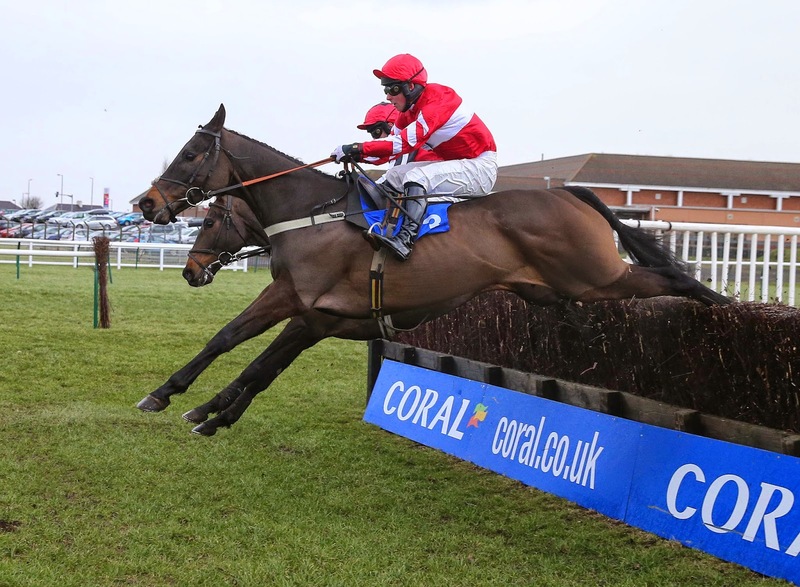 On Friday the highlight is Coral Scottish Grand National Festival 17/18 April Handicap Chase over two and a half miles with £12,000 in the prize-pot and the main support is the two mile hurdle for the coveted James Barclay Challenge Trophy. Saturday’s meeting features the First Class Hospitality At Ayr Racecourse Handicap Chase for the Hugh Barclay Trophy as well as the two mile four furlong Handicap Hurdle for the Ayrshire Yeomanry Cup. It’s the last meeting at Ayr before the Coral Scottish Grand National Festival on 17 April and 18 April. Meanwhile at Ayr last Monday 23 February, Lucinda Russell continued her fine run of form saddling Nod Deal to win the Play Casino At BetVictor.com Handicap Chase for jockey Peter Buchanan. Lucinda, Scotland’s leading jumps trainer, is hitting form at the right time and is aiming to beat last season’s record total of 66 winners. The biggest shock of the afternoon came when Just Cameron (4/1) (pictured above nearest the camera), trained by Micky Hammond and ridden by Joe Colliver beat 1/3 shot Duke of Navan to win the two mile novices chase – a huge shock with only the bookmakers cheering on the winner. The BetVictor.com Handicap Chase was won by the Rebecca Menzies trained, Tony Kelly ridden Chavoy, the 3/1 favourite. Scimon Templar landed the BetVictor Handicap Hurdle over two miles for trainer Pauline Robson and jockey James Reveley.